Popular floor plan available at Inspirada. 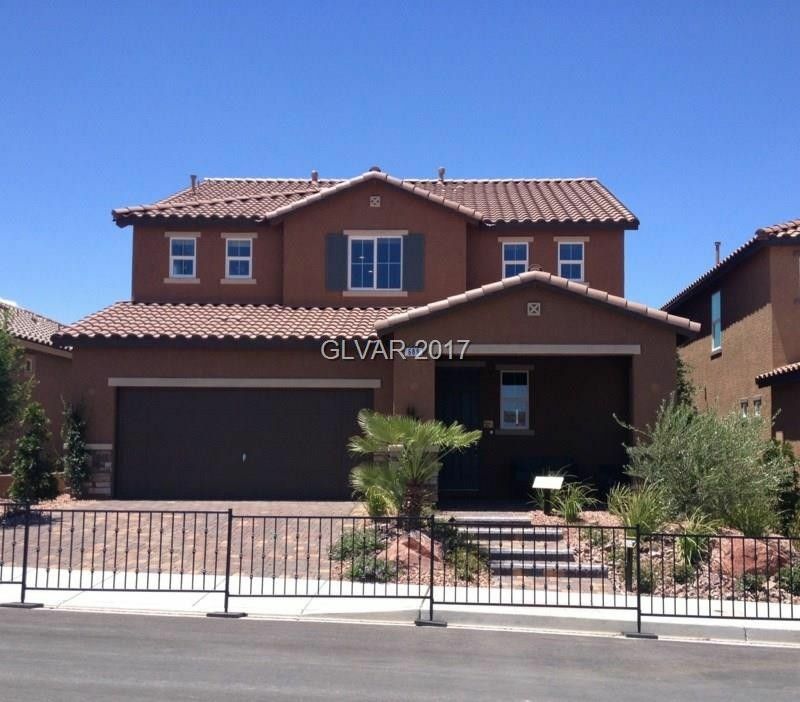 Upgraded birch shaker cabinets, granite, gourmet kitchen, covered patio, pavered driveway and patio, two tone paint, guest bed down with bath and much more! Photo of a model of the same plan, may show options/upgrades.